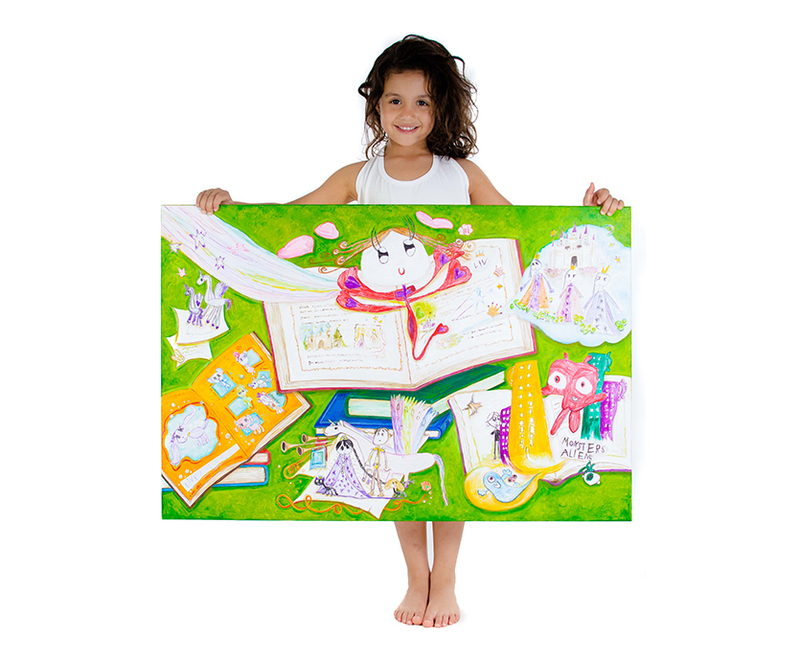 At LivArt, we take your child’s original artwork and create a custom-made piece of art suitable for framing. Your little Picasso will be proud to see their art brought to life by our experienced and talented artists who work hard to create your little one’s masterpiece. Kids love art and they love to draw and create. The problem is, what do you do with all of their little masterpieces? LivArt can create a custom piece of art from your child’s sketches, drawings, photos and other elements and turn them into beautiful clothing and apparel, an art book, a digital print to hang on the wall and more! Your child’s work is our inspiration! To learn more or to see how we can turn your child’s art into a beautifully designed masterpiece that you can cherish forever, contact us today!